Look no further, DealerStar is here. Trust in our more than 20 years of experience. 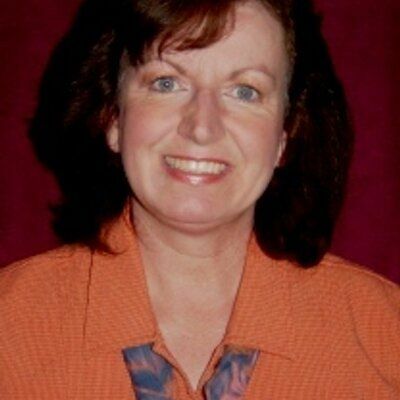 DealerStar was designed by "car person" and long-time technology guru, Sandi Jerome of Sandi Jerome Computer Consulting. She started in the car business when she was 14 taking parts inventory and worked her way up to be an office manager, F&I manager, controller, assistant general manager, and then CFO. She started her successful consulting practice over 20 years ago and has over 6,000 dealer/technology clients and is familiar with dozens of DMS systems. It was beta tested from 2006-2009 at both ADP (now CDK) and R+R dealerships; 3 single points and 2 multi-company operations. In 2010 it was installed at the first dealerships and now has dozens dealerships using all or portions of DealerStar and growing. Most have been fully installed for over 4 years. Back in 2006, putting a DMS on the web was uncharted territory, and we have been awarded 2 patents for the pioneer idea of a web-based DMS. Our team includes Sandi's husband of over 40 years, Keith Jerome who in a prior life wrote code for nuclear power plants and ran a leasing company for a dealership group. Over the past 20 years he has helped hundreds extract and clean data from CDK, R+R, Autosoft, Dealertrack and many others. Our other "Stars" include Robert who is the Director of Installation, Richard who is our Development Manager. Our Installers include Martha, Nadine, Laura, and Jackie. Sandi's long-time accountant, Lena Washke handles our taxes while Jack and Angel handle technical issues. During the design process, Sandi constantly asked the guidance of other industry experts and dealers. Here is a partial list of those who helped make the best DMS better!. Mark and Amy Abouzeid at Chico VW who recommended...recommendations! After visits with Mark at his lovely store in Northern California, I understood how important is was to show recommended service and make it easy for advisors to enter and see each time they write service. He also wanted estimates stored with the VIN, so you'd be able to go back and find those later. . Most everything I learned about desking was from watching my good friend, Tom Rasmussen desk deals back in our old Walser days. After he became a dealer, he drew on a white board all the different times he had to enter a vehicle into inventory and that was when I decided to combine his desking, marketing, and CRM knowledge into our core system so that a vehicle will really only need to be entered once. Thanks to the parts guru, Mike Nicholes of Mike Nicholes Capital Management Inc. http://partsconsulting.com/. We have known each other for years as fellow consultants and his knowledge of parts is unsurpassed in quality and quantity. I have added his parts reports to DealerStar and used his concepts in designing our stock ordering systems. During my certification process for GM Parts, I worked with Tom Hasselbach of GM who made many suggestions on how to make it easier for the users in the parts department to inquiry on parts, change their parts orders, and order parts quicker. He shared the logic of the "chaining" tracking of parts shipments by facilities that will eventually be incorporated into DealerStar to enable parts personnel to quickly know if the part is coming from their facing warehouse or been referred to another facility. I taught Gerard Marra at Bob Smith BMW everything I knew about Accounting and he taught me about security and IT. DealerStar is more secure thanks to the changes I made on Gerard's recommendations as one of our first DMS Import users. Ron Hornby of Clarkdale VW is the only dealer that I know that is a chartered accountant and his suggestions of accounting reports has made DealerStar the best when it comes to providing the "why" for every "what!". One of first dealerships was a Saab dealership and Mark Thomas and his wonderful parts and service director pointed out ways that I could make it easier to close repair orders and Mark refined my upload to accounting using Excel spreadsheets and adding vehicles to inventory process. And many, many more people. Just send me an email to remind me how you've helped me "Make DealerStar the Best! ".